Sunday, April 20th – Once Upon a Time 3×18 Bleeding Through airs on ABC and CTV. Regina (Lana Parrilla) casts a spell in hope of finding out why Zelena (Rebecca Mader) was abandoned by their mother Cora. And later teaches magic to Emma (Jennifer Morrison). 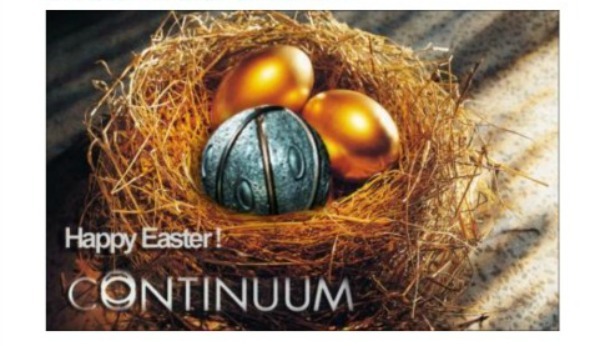 Sunday, April 20th – No new Continuum on Showcase but a special Happy Easter to Simon Barry and cast from fan @Margo_77777. Sunday, April 20th – Hallmark movie In My Dreams with Katherine McPhee & Mike Vogel premieres on ABC. Fountain scenes filmed in Deer Lake Park. Sunday, April 20th – Hallmark series Signed Sealed Delivered premieres on Hallmark Channel in the U.S. The postal detectives — Eric Mabius, Kristin Booth and our own Geoff Gustasfson and Crystal Lowe — unravel a mystery behind a boy whose life is in danger. Sunday, April 20th – Almost Human‘s Karl Urban Q&A at Fan Expo Vancouver. Sunday, April 20th – Arrow‘s Manu Bennett Q&A at Fan Expo Vancouver. Saturday, April 19th – Once Upon a Time panel at WonderCon with Josh Dallas, Rebecca Mader and showrunners Edward Kitsis and Adam Horowitcz. Saturday, April 19th – Godzilla presentation with director Gareth Edwards at WonderCon. Saturday, April 19th – Falling Skies panel at WonderCon with Moon Bloodgood, Sarah Carter, Seychelle Gabriel and Doug Jones. Season four footage introduces fans to white-haired Lexi (Scarlett Byrne). The 100 panel at WonderCon with Eliza Taylor, Isaiah Washington, Bob Morley and more. Saturday, April 19th – Arrow co-creator Mark Guggenheim’s thriller OverWatch on sale at WonderCon. Saturday, April 19th – Backstrom showrunner Hart Hanson shares photo of editor hard at work on reshot pilot. Friday, April 18th – Sneak peek of new The 100 episodes at Wonder Con. Friday, April 18th – Continuum 3×03 Minute to Win it airs on Syfy in the U.S.
Friday, April 18th – New shorter Godzilla trailer features scenes of FEMA shelter at BC Place. Friday, April 18th – Arrow wraps its second season around 5 a.m. And Stephen Amell and Paul Blackthorne get buzz cuts to celebrate the hiatus. Friday, April 18th – New York Times hunts down secrets of Supernatural‘s long TV life in Surrey, interviewing Jensen Ackles, Jared Padalecki, Misha Collins, Robert Singer and more. Friday, April 18th – Deadline Hollywood’s Pilots 2014 More Early Buzz features buzz about Sea of Fire with Jennifer Carpenter; Flash with Grant Gustin; iZombie with Rose McIver; and Supernatural: Bloodlines. Thursday, April 17th – Motive 2×07 Pitfall airs on CTV. Angie (Kristin Lehman) is forced to leave her father’s wedding to investigate a skydiving jump gone wrong guest-starring Callum Keith Rennie as The Killer. Thursday, April 17th – Air with Norman Reedus wraps filming. Thursday, Arpil 17th – World of Warcraft adaption Warcraft films in Coquitlam’s Catalyst Paper plant on the Fraser River. Thursday, April 17th – Cedar Cove films second season at Aldergrove High School turned into Pacific Northwest Naval Base. Thursday, April 17th – Mystery production films on road to University of British Columbia. Thursday, April 17th – Arrow co-showrunner Marc Guggenheim confirms to TV Guide the “long-lense paparazzi” spoiler of Ravager (Summer Glau) taken on Georgia Viaduct overnight shoot. Thursday, April 17th – USA Network series Rush starring Tom Ellis gets a May 21st start date for filming of its series on a BC Production list. Wednesday, April 16th – The 100 1×05 Twilight’s Last Gleeming airs on The CW. Clarke (Eliza Taylor) and Finn’s new romance becomes a triangle as Finn’s girlfriend crash lands on Earth; on the ARK citizens volunteer to die so that their loved ones can live. Wednesday, April 16th – Arrow 2×19 The Man Under the Hood airs on The CW and CTV. Deathstroke/Slade Wilson (Manu Bennett) takes the battle to the Arrowcave. Laurel (Katie Cassidy) discovers that the Arrow is her Ollie (Stephen Amell) and Black Canary (Caity Lotz) is her sister Sara. Oliver discovers his father had an affair with Isabel (Summer Glau). Wednesday, April 16th – Filmed-in-rural-Langley Hallmark series When Calls the Heart with Daniel Lissing and Erin Krakow starts airing on Super Channel in Canada. Wednesday, April 16th – Arrow films its season 2 finale in a sewage treatment plant. Wednesday, April 16th – The Killing films in the former Nokia building in south Burnaby’s Glenlyon Business Park. Wednesday, April 16th – Supernatural return from a three-week break brings season lows of 1.7 million audience and 0.8 in the demographic. Tuesday, April 15th – Supernatural 9×18 Meta Fiction airs on The CW. When Castiel (Misha Collins) rejects Metatron (Curtis Armstrong)’s offer to join forces, a surprising plan is set in motion; Gadreel (Tahmoh Penikett) is apprehended. Tuesday, April 15th – Supernatural films its season 9 finale in Coquitlam’s Catalyst Paper on the Fraser River. Tuesday, April 15th – Arrow films its season 2 finale in a sewage treatment plant. Tuesday, April 15th – Gracepoint films Jack Reinhart (Nick Nolte)’s memorial in North Saanich’s Holy Trinity Church. Tuesday, April 15th – If I Stay with Chloe Grace Moretz releases first trailer. 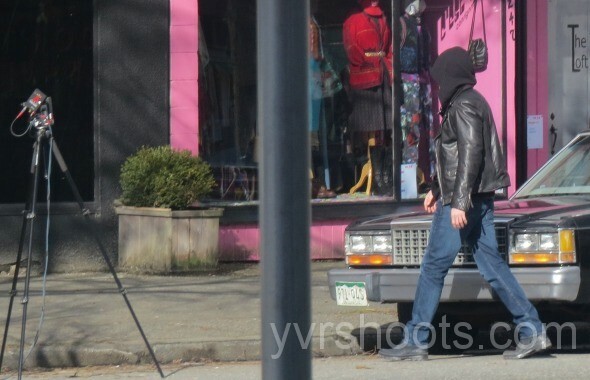 Tuesday, April 15th – American TV pilot season wraps in Vancouver. Monday, April 14th – Bates Motel 2×07 Presumed Innocent airs on A&E. Norma (Vera Farmiga)’s faith in Norman (Freddie Highmore) is tested when he is held in police custody after pushing Cody’s father to his death. 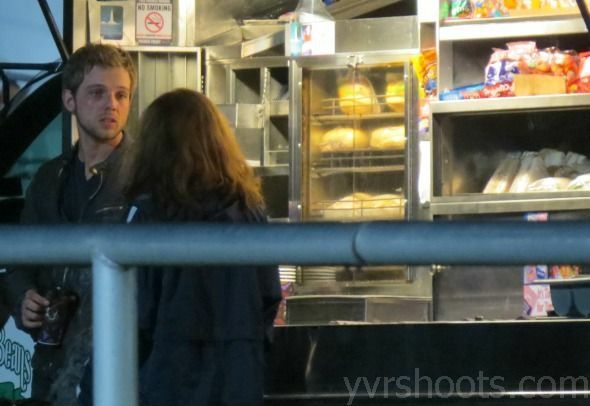 Emma (Olivia Cooke) tells Dylan (Max Thieriot) that Norman is in custody, filmed on the Steveston docks. Monday, April 14th – The Tomorrow People 1×17 Modus Vivendi airs on The CW. Stephen (Robbie Amell)’s work as a double agent appears to be paying off; Jedikiah (Mark Pellegrino) tries to hide his brother from Ultra with John (Luke Mitchell)’s help. Monday, April 14th – Signed Sealed Delivered series premiere airs on M5. Monday, April 14th – Arrow films its season 2 finale in a sewage treatment plant. Monday, April 14th – Supernatural starts filming its season 9 finale at Coquitlam’s Catalyst Paper on the Fraser River. Monday, April 14th – The Killing films Seattle military cadets on Discovery Road near Jericho Beach. Monday, April 14th – Gracepoint films at its Gracepoint Police station set in Sidney, Victoria. Monday, April 14th – Signed Sealed Delivered films near Vancouver Public Library in the morning. Monday, April 14th – The Intruders with John Simm starts a two-week hiatus between two blocks of episodes.